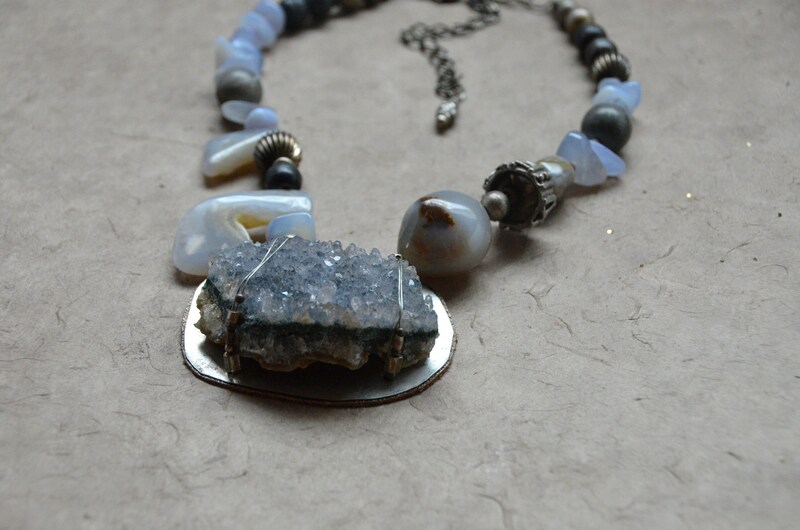 The "Sparkle & Shine" Necklace, Chakra 7. 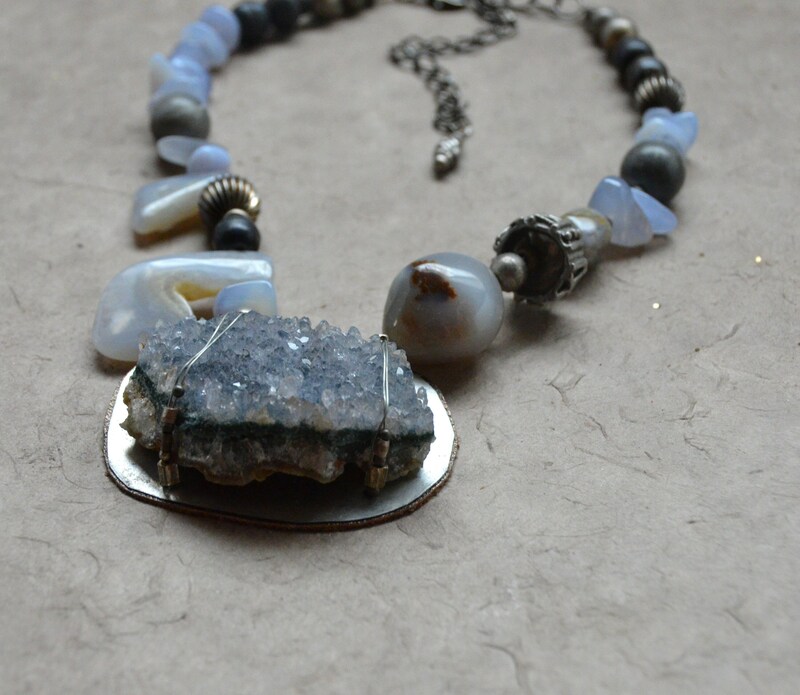 Created for Tribal Haus with love by Kristen Wilson and modeled by beautiful goddess Kaylin. 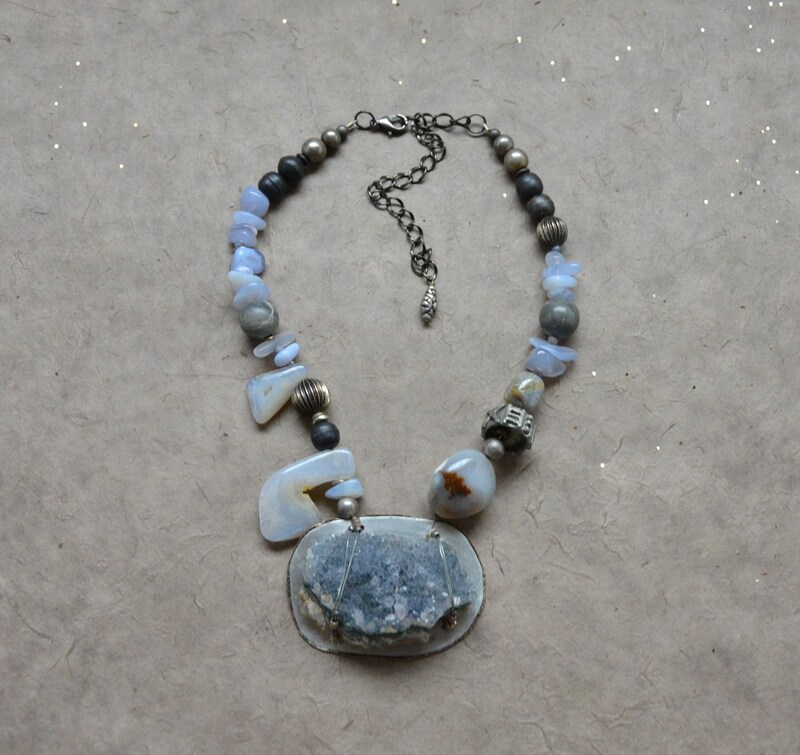 It features a beautiful blue lace agate druzy which is wrapped onto a piece of tin and backed with metallic leather for comfort and a bit of added drama. Tin is the earliest metal used by humankind as it is workable just as it is found in the earth and is very light weight. 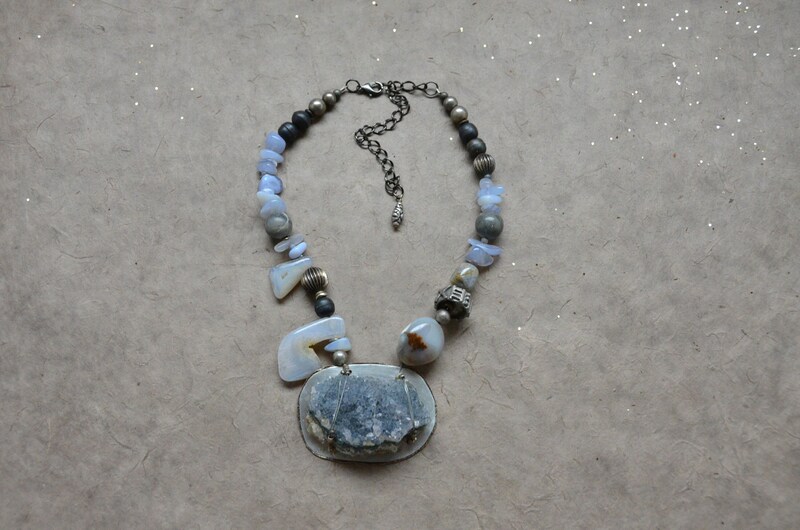 The beads used are blue lace agate, marble and mixed vintage silver toned metals. It measures 18" and has an antiqued metallic silver tone lobster claw closure. There is a 5" extender chain for added length if desired.